1. Best marking effect: The laser beam of color mopa 20/30w fiber laser marking machine is fine and thin. 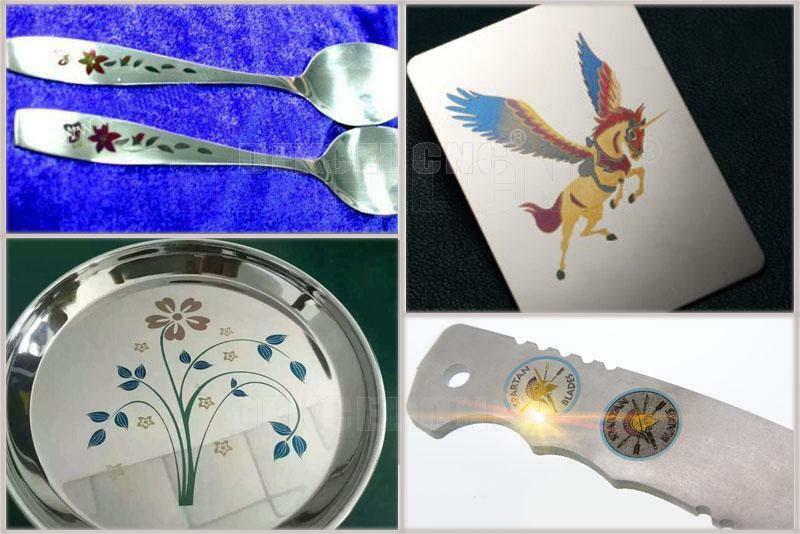 Laser etching steel can provide the best marking effect among all the laser machines. Especially good at smallest character marking, such as mark on IC chip. 2. 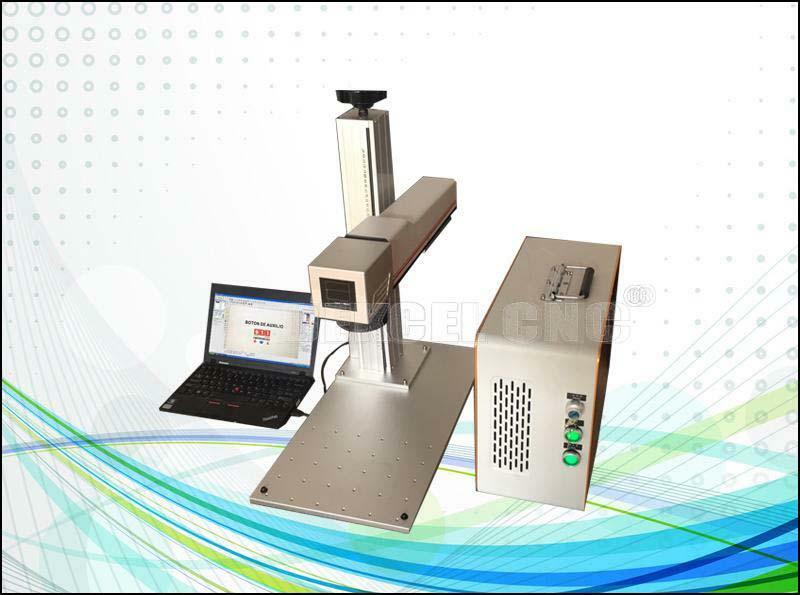 Higher accuracy: Color fiber laser marking machine can reach unto 0.001mm precision. 3. Deep marking: Perfect color mopa fiber laser marking machine can make deep marking up to 1.0mm on stainless steel and aluminum. 4. No consumables: Cnc fiber laser marking machine can be used for metal nonmetal marking for 8-10 years without any consumables. 5. Long using time: Fiber laser coulr marking machine use the fiber laser source made by Germany IPG technology, the lifetime can reach 100,000 hours, so the machine can be used for 8-10 years. 6. No need to adjust the laser path. 7. Low power consumption: low cost. 8. Use integrated air cooling. 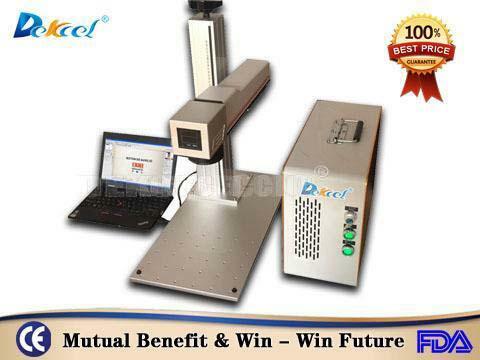 What's the Technical Parameters of cnc fiber laser metal nonmetal marking machine ? Any metal(non-metallic),engineering plastics, electroplating materials, coating materials, spraying materials, plastics, rubber, epoxy resin, ceramic and other materials. Phone keys, plastic translucent keys, electronic components, integrated circuits(IC), electrical appliances, buckles cookware, stainless steel products and other industries. A: There is English manual or guide video that show you how to use machine. If you still have any question, please contact us by e-mail / skype/ phone /trade manager online service. Q2: How can I do if the machine goes wrong? A: Our technician have installed the machine before shipping. For some small parts installation, we will send detail training video, user’s manual along with the machine. 98% customers can learn by themselves. If you are interested in our mopa fiber laser colour marking machine, or have any question about cnc laser marking machine. Please contact Jinan Dekcel Cnc Equipment Company. We are support service 24 hours online.